After two years of pioneering with its own distinctive take on the popular deep house sound, it’s time for STRAF_WERK to leave the little league and join the big boys. 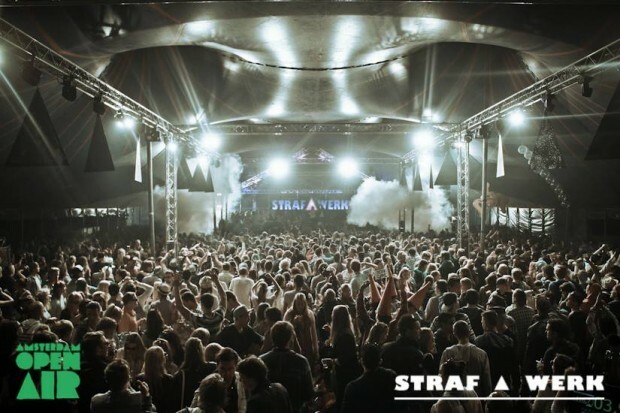 Yes you’ve got that right, it’s time for the very first STRAF_WERK Festival! After letting their fantasies run wild the Amsterdam based promoters just went for it and found a nice home in the intimate and green Sportpark Riekerhaven, just beyond the Vondelpark in Amsterdam West. A host of national and international heroes was booked next, and with the promise of a limited capacity and an intimate set-up this looks like it has the potential to be one of those festivals which you remember a summer by years later. STRAF_WERK wouldn’t be itself if they didn’t open up a can of international big shots. Expectations are always high, but with Diynamic stars David August and H.O.S.H., UK hotshot Dusky and American crooners PillowTalk on the bill even the most demanding fan should be satisfied. And even more so if you take into account the very decent ticket price (€29.50). It’s not just about big headliners though, local heroes and tomorrows stars are also present, so expect to be making tough timetable choices. I want to start of with a duo that is probably pretty well known, but deserves more credit: HOMEWORK. You might think of them as just another one of those local DJ acts that are fashionable for a while before they fade back into obscurity, but their touring schedule says differently. Berlin, London, New York, Barcelona, Beirut, Mexico and Istanbul, just a small selection of their recent and future trips. For a national traditionally proud of those who fly the red, white and blue flag abroad, we could definitely give these guys some more credit. Support your local heroes! Chi-Thien Nguyen & John Muder aka Chopstick and Johnjon are the founders of the Suol label, which is home to a few great DJs such as Fritz Kalkbrenner, Daniel Bortz, Trickski and Till von Sein. Their motto is emotion, not rocking every dance floor, which has deliver some beautiful low bpm tracks. Their own sound is described by Chopstick as Harmony rave, to which Johnjon adds: “4/4 beat, 100bpm and more. Always positive, happy, techy and fat beats.” Don’t think this all means standing still and listening though, getting booties shaking and vodka drinking remains their mission. Another local act to check out is Anton Kuertz. This might sound as a yodelling Austrian mountain dweller to you, but none of that is in fact the case. It’s not even one guy, to be precise, but a three man band featuring live vocals and accordion. Still think that sounds a bit folkish? Go check them out and be amazed by their very subtle vocal deep house filled with weirdness and performed live. We dig it, and if you are a fan of live performances and experimentalists you will too.